well that doesn’t seem to be working. The scariest part of Halloween is how anatomically incorrect these decorations are. 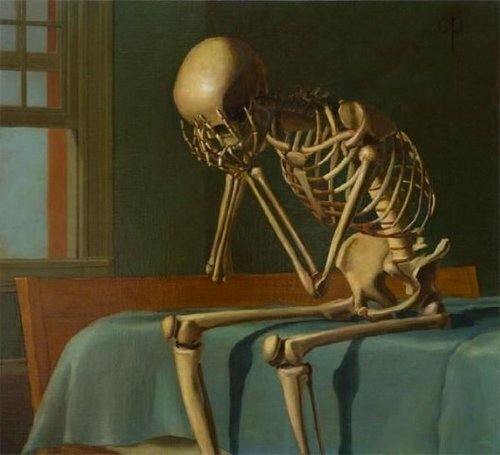 listen, sometimes necromancers get bored, and there’s always lots of little bones laying around…. leonard mccoy: the ex-wife took the whole damn planet in the divorce. 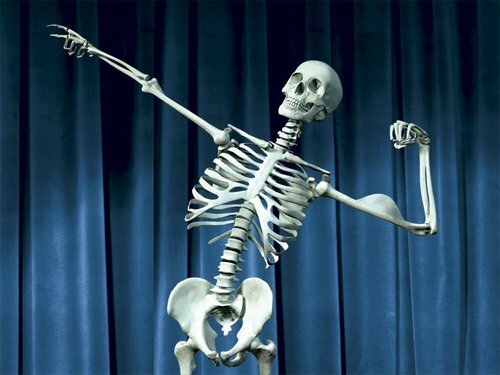 all i got left is my bones. me: by the founding of the united federation of planets in the 22nd century, capitalism was no longer the economic system of earth, having been replaced by an interim-/proto-post-scarcity socialist democratic new world economy, under which money no longer existed and humanity was considered to have grown out of its infancy and survival-based drive for accumulation and acquisition, with society functioning on communal collaboration as a force for self-improvement, self-enrichment, and the betterment of all humanity. me: moreover, while this would’ve been a plum opportunity to give a nod to the backstory and emotional depth of mccoy, particularly given the losses the crew of the enterprise faces themselves as well as the losses they bear witness to in the destruction of the vulcan homeworld over the course of events of this movie, treating bones’s relationship as a punchline (and with no mention of his daughter on top of that) is symptomatic of the reduction of bones’s characterization in this ‘verse overall, and only serves to highlight the weaknesses in writing and direction that have thus far held an otherwise stunning cast and production team back. me: and really, what was ever wrong with “bones” being short for “sawbones”? me: like, what is this, a chuck lorre show? stop making alimony jokes, abrams. me: fake nerd boys, is2g. The new revelation of DNA-editing, CRISPR technology is still making the headline rounds. This is something that has the potential to redefine humanity. We now harness the ability to alter our own DNA. This includes the ability to battle hereditary disease, but also to splice animal DNA into our own. The most controversial consequence of this technology is that any changes we make will be passed on through each following generation of humanity. This technology could be a savior from disease, but also it has the potential to literally create new races of humans, or even completely new species. So much potential for good or evil. We might be able to eliminate at least the common genetic diseases – saving lives and allowing couples to have children without fear. We might be able to increase the human lifespan. How about curing HIV/AIDS? Curing. Not treating. Not managing. CURING. CRISPR could be used to cut the LATENT virus out of infected cells. We could erase cystic fibrosis, Tay-Sachs disease, Huntington’s disease. Now, be aware. CRISPR is not ready for prime time yet. You could easily give the person a different disease either instead of, or as well as, the one they already had. Downside #2 is, of course, unethical editing which might lead to genetic classism (rich people get to be perfect, poor people still suffer, research stops into other treatments because only poor people get that now). #3: Cosmetic or designer editing, with possible side effects. #4: It MIGHT be possible to use this technology combined with designer viruses to literally introduce a genetic change to an entire population. This could be a biological weapon. Or it could be a way to prepare the colonists on a starship for the environment on their new planet. It could be used to sterilize vast numbers of humans. Like everything else, it’s a two edged sword and, well…I don’t think we should stop this research. I’ve had to watch a friend die from cystic fibrosis. At the same time, we need to realize that once this genie is out of the bottle – the world will change dramatically. that 100,000 people had attended a prayer rally to support her in Peru. 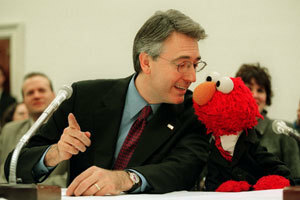 why did elmo testify before the congress…. He also did this while looking incredibly adorable. I’m sorry but you seem to be mistaking Elmo for a puppet. Elmo is not a puppet. He is a muppet. A puppet is a man made object and a muppet is a living being. There is nobody under the desk because Elmo is real. this isn’t getting creepy to yall yet? The photos on the left are not from 2000. I know it’s a great story, but those photos are actually from a much more recent (read: literally after Trump’s presidential announcement) episode. There IS an episode from 2000 that predicted a Trump presidency, however he did not appear in it and it was only mentioned in passing as President Lisa Simpson had to deal with the “disastrous aftermath” of it. Thank you. I didn’t remember him in the original and the escalator thing was waaay too specific. The internet produces lies, but time + the internet seems to produce the truth.